Trending at $138.90eBay determines this price through a machine learned model of the product's sale prices within the last 90 days. Trending at $181.54eBay determines this price through a machine learned model of the product's sale prices within the last 90 days. Trending at $112.13eBay determines this price through a machine learned model of the product's sale prices within the last 90 days. Trending at $139.97eBay determines this price through a machine learned model of the product's sale prices within the last 90 days. Trending at $203.31eBay determines this price through a machine learned model of the product's sale prices within the last 90 days. Trending at $133.97eBay determines this price through a machine learned model of the product's sale prices within the last 90 days. 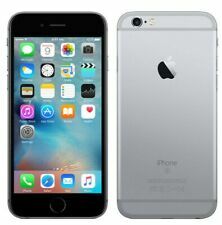 🔥Apple iPhone SE - 16GB - Space Gray (Unlocked) | 12-Month Warranty Included! 12 Month Warranty. ​​​​​​​We rigorously test every single device based on our 30-Point Testing Process. 12-Month Warranty. Excellent communication and service. Everything was handled in a professional and easy manner. 4.5 out of 5 stars - 🔥Apple iPhone SE - 16GB - Space Gray (Unlocked) | 12-Month Warranty Included! 227 product ratings227 product ratings - 🔥Apple iPhone SE - 16GB - Space Gray (Unlocked) | 12-Month Warranty Included! Trending at $149.51eBay determines this price through a machine learned model of the product's sale prices within the last 90 days. Trending at $231.99eBay determines this price through a machine learned model of the product's sale prices within the last 90 days. Trending at $252.92eBay determines this price through a machine learned model of the product's sale prices within the last 90 days. NEW VIRGIN MOBILE MOTO G6 PLAY LTE 16GB PREPAID CELL PHONE 5.7” 13mp F/S! !